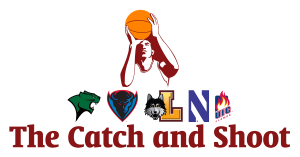 In our first installment of the Horizon League Power Rankings for the 2016-2017 season, there’s been some movement from our preseason projections. Oakland, Wright State and Youngstown State all collected impressive victories in the first week of the season. An early theme has been the strong play of freshman point guards across the league. Trevor Anderson, Godwin Boahen, Tarkus Ferguson, August Haas, Marcus Ottey, Blake Spellman and Kasheem Thomas are all getting minutes and providing promising results early on. Valpo suffered a head-scratching scare from NAIA Trinity Christian when they were down 45-36 after the first half, but went on to dominate in the second half and win. The Crusaders have played the most difficult game early on in the Horizon League, losing to Oregon in Eugene yesterday. Alec Peters and Shane Hammink have carried the offensive load early on, combining for 41.8 points per game as the only double-digit scorers on the roster. Peters is off to a surprisingly slow start in terms of shooting percentages (20% from three), but expect that figure to hover back to the mid-40’s in due time. 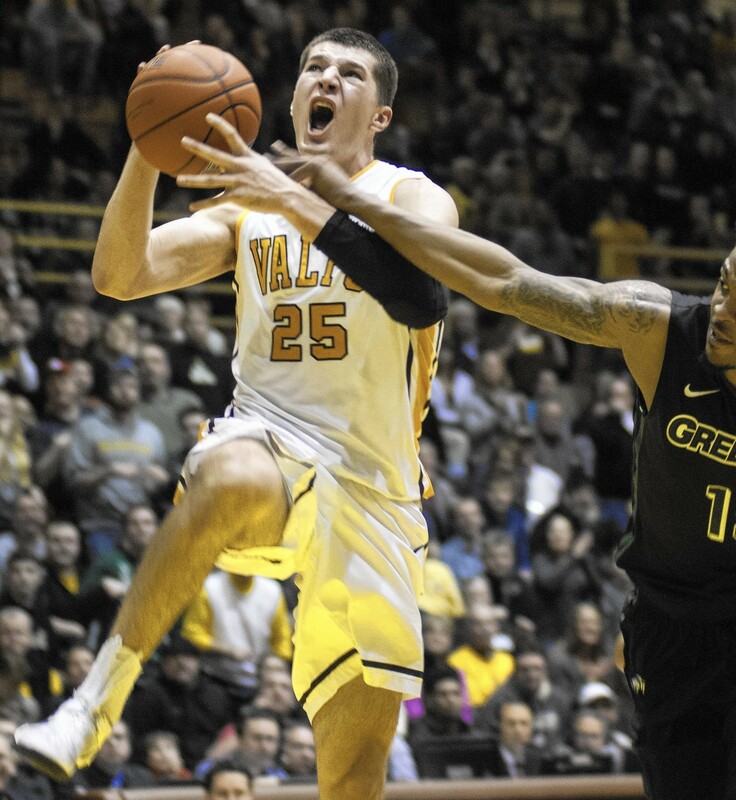 Max Joseph is benefiting from more playing time and inferior foes (35 points in Valpo’s first three games) but was held scoreless against Oregon. He’s a player to keep an eye on. Martez Walker scored at least 20 points twice last season. He’s scored at least 20 points in Oakland’s first two games thus far. Walker’s the focal point for Oakland’s offense, with Kay Felder now on the Cleveland Cavaliers. Felder’s replacement, highly-touted juco transfer Stevie Clark, has provided Oakland with a dual threat point guard (10.0 ppg and 6.5 apg). Jalen Hayes has picked up right where he left off last year as a double-digit scorer in the paint. The revelation has been sophomore center Xavier Hill-Mais. He’s averaging 9.0 ppg and 8.0 rpg. Hill-Mais had nine blocks last year, and he already has six blocks through two games. The post-Jordan Fouse and Carrington Love era is underway. Freshman point guard Trevor Anderson has shined early on, providing much-needed 3-point shooting. Turner Botz, Charles Cooper and Warren Jones have struggled early on, but they’re bound to get into form pretty soon. Jamar Hurdle is the x-factor if he can consistently produce. Wright State opened the season with a nice road victory over Southern Illinois. Mark Alstork is thriving under the direction of first-year Head Coach Scott Nagy. He frequently has the ball in his hands and is producing to the tune of 29.5 ppg, 6.0 rpg and 6.0 apg. Senior big man Steven Davis is healthy and also performing at a high rate. Davis is averaging 21.0 ppg and 5.5 rpg. Justin Mitchell handles the power forward duties in Nagy’s four-guard offense and he’s averaging 11.5 ppg and 9.0 rpg. Youngstown State got a big season-opening win over in-state foe Akron. The Penguins were then on the verge of being blown out on the road at Toledo, but fought back for a respectable overtime loss. Junior guard Cameron Morse erupted for 40 points against Toledo, and he’s averaging 33.5 ppg through two games. He’s got a good chance to lead the Horizon League in scoring for the foreseeable future. Rob Edwards is a known commodity after a solid, productive freshman season. Cleveland State appears to have yet another promising freshman guard: Kasheem Thomas. He’s averaging 11.5 ppg, 8.0 apg, 5.5 rpg. Thomas has made 5-of-9 shots from three. Most importantly, Thomas has 16 assists versus four turnovers in 70 minutes so far. And neither Edwards nor Thomas is the leading scorer so far for CSU. That honor belongs to Oral Roberts transfer Bobby Word (15.5 ppg, 6-of-14 from three). CSU’s backcourt looks very good early on. CSU has gone without big man Demontae Flannigan so far, a testament to how well they’re playing without their best interior option. The Flames didn’t win their first game against a Division I opponent until January 30 last season. UIC also didn’t win a road game last year. 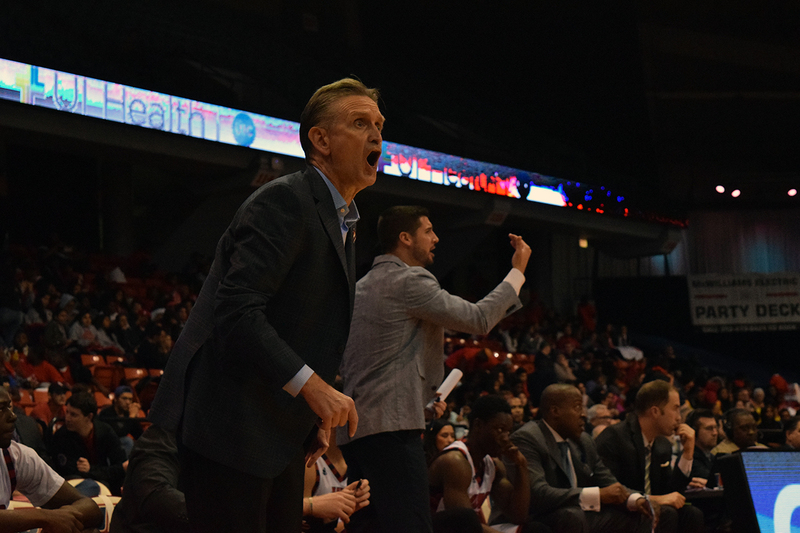 Although UIC lost to San Francisco 82-80 on the road to start the season, the Flames were very much in that game and nearly pulled out a victory. UIC did take care of business against UTSA at home behind sophomore wing Dikembe Dixson’s 31 points. The Flames start three freshmen in Tarkus Ferguson, Marcus Ottey and KJ Santos. And Godwin Boahen receives ample playing time off the bench. The influx of talent from UIC’s 2016 recruiting class coupled with the holdovers from last year has the Flames trending upward. Like UIC, Northern Kentucky brought in a highly-regarded 2016 recruiting class. And they’re all getting minutes early on. Carson Williams, a 6-foot-5 power forward, was named the Horizon League freshman of the week after averaging 12.5 ppg, 8.5 rpg and 2.5 apg. Alabama transfer Jeff Garrett, now finally eligible, is a big-time athlete who positively affects the game in many ways. Detroit lost both exhibition games and was blown out by East Tennessee State, their only Division I opponent so far. The Titans guard/wing play has been productive so far, led by Josh McFolley and his 16.5 ppg. Freshman guard Corey Allen is also a double-digit scorer who first-year head coach Bacari Alexander has entrusted with minutes. The key for Detroit will be receiving production from the frontcourt. The loss of Paris Bass this past offseason is hurting the Titans early on. First-year head coach Lavall Jordan has his work cut out for him. Luckily for him, Cody Wichmann is on board to provide much needed senior leadership and 3-point shooting. Much like Detroit, Milwaukee is not receiving much help from their big men. That means the guards and wings will need to rise to the occasion. Brock Stull has shined averaging a double-double. Freshman guard August Haas is being handed the keys to the offense and is chipping in 9.5 ppg, 5.0 rpg and 3.5 apg.